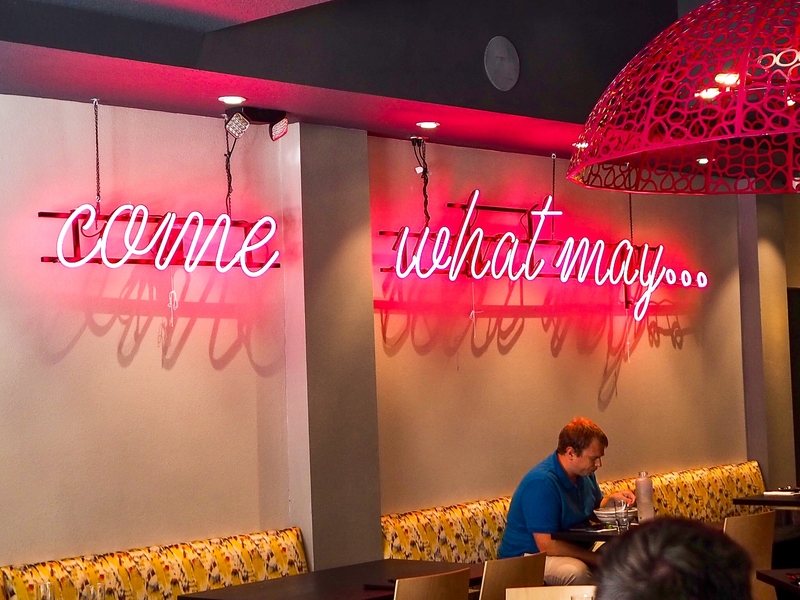 Chef Chau Trinh of Sushi Pop recently opened the first outpost of the Oviedo mainstay in classy Winter Park, right off of Park Avenue on Lyman Avenue. On Wednesdays through Sundays from 11am to 3pm inside Sushi Pop Winter Park, Chef Chau opens up ChauHaus – his new “pop up” lunch featuring elevated Vietnamese classics cooked from his childhood memories including: 16 hour bone broth pho beef noodle soup, bun bo hue spicy beef noodle soup, banh mi – served french dip style with a side of pho broth , duck curry, rice and noodle bowls with charcoal grilled lemongrass pork and house-made pork sausage. 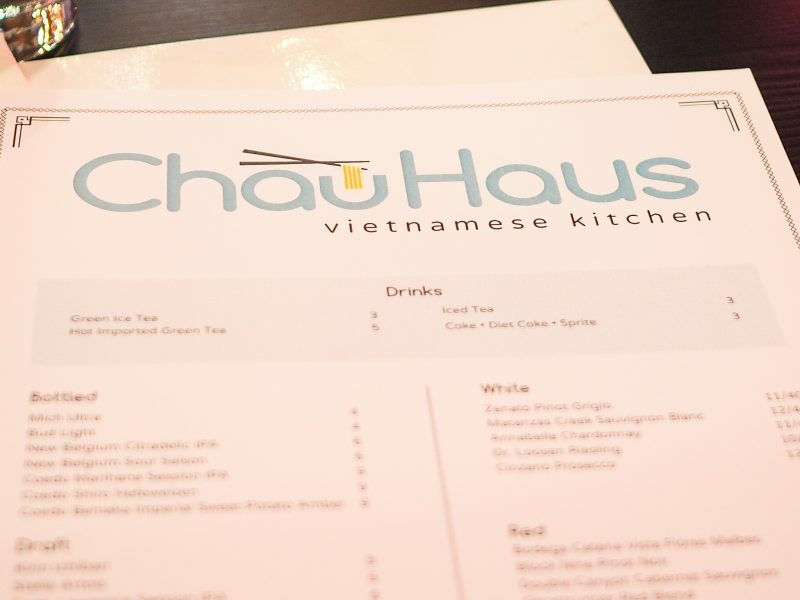 We recently visited ChauHaus as part of our weekly Orlando Foodie Forum lunch meet up and I was just blown away by the flavors in the bun bo hue noodle soup and the fantastic cuts of meat and house made sausage in the bowl. 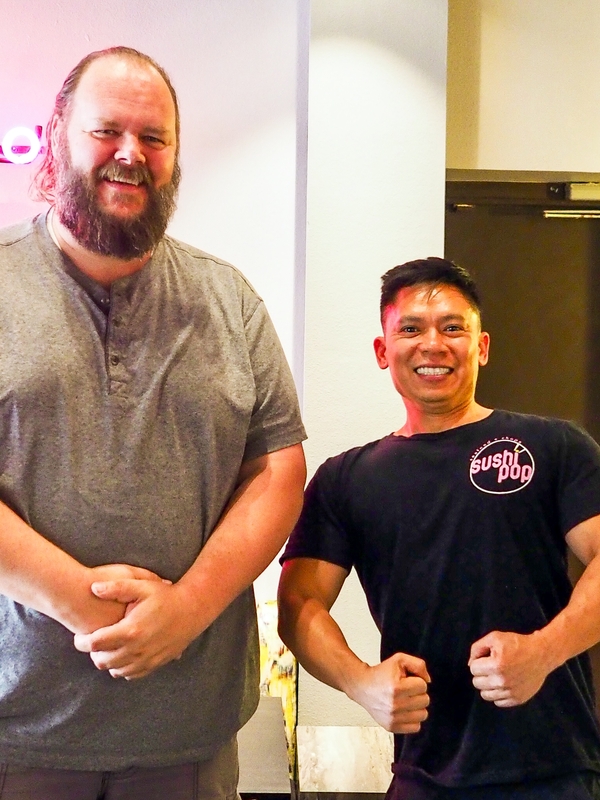 We spoke with him in-depth on the new Sushi Pop, his new Vietnamese Pop Up Chau Haus, his favorite kitchen utensils, his Vietnamese cooking tips, and upcoming plans. 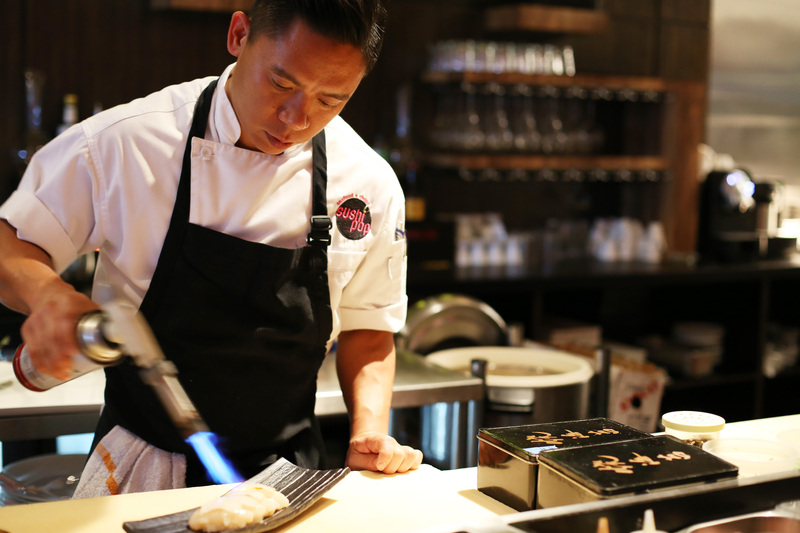 How has the opening at Sushi Pop Winter Park been so far? Great! The community has received us well and we are excited to be cooking for so many new people that have heard about us but have never ventured to the Oviedo location. What are some of the greatest influences in your life in becoming a chef? This is a twofold answer. First, I’m fortunate that I come from a family of good cooks. Most of my uncles and aunts can wield a knife and hold their own in the kitchen, so delicious food was never far away. My grandmother and mother were certainly driving forces in teaching me how to cook, to be patient, to focus and appreciate the work. So cooking was never a chore, it was part of family bonding and an honor/pride to cook for everyone. I loved the intenseness and dedication they all had. They argued who made it best, which always made the food better. This has influenced my life now as a chef as it is the way I approach food, it’s the same attitude and respect I have for cooking as my family did. And two, I visited Nobu NYC way back in 2001 and it completely changed the way I saw sushi. Nobu was a master pioneer in blending cuisines together seamlessly without calling them “fusion.” He elevated and presented sushi in a way no one had ever seen before. Peruvian flavored with Japanese execution. Mind blown! What are some of your favorite food memories growing up? Certainly being around family during large gatherings. Waking up with my cousins and faintly hearing my aunts bicker in the kitchen about the proper way to make a dish. The fresh herbs and scents of food simmering and sizzling always attracted me even in my youth. And of course, eating the food, seeing every ones happy faces as they shoved all the hard work and prep down with each bite. 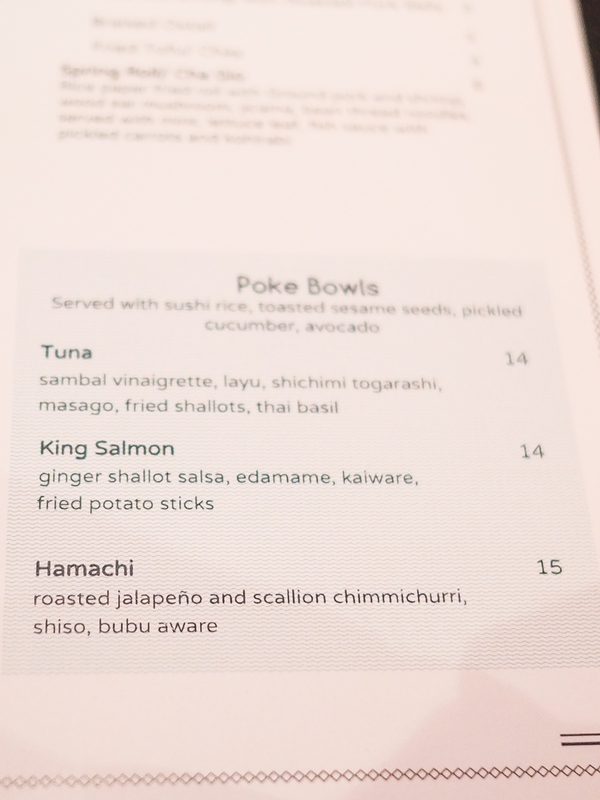 What are some of the most popular dishes right now at Sushi Pop Winter Park? The cold tastings are always fire and sell well. 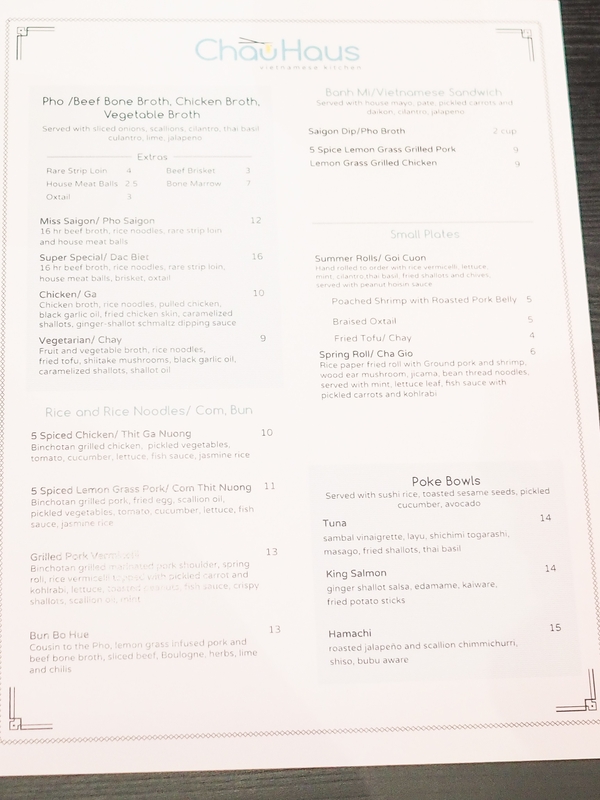 The menu changes quite a bit but I’d say the Hamachi Ceviche (coconut leche de tigre, palapa, fresno chili, cilantro oil, gochujaru soft boiled peanuts) and the 3M ( 3 different types of mushrooms, porcini seared akami tuna, mushroom soy, shitake bacon, lemon juice, olive oil, black garlic and herbs) . 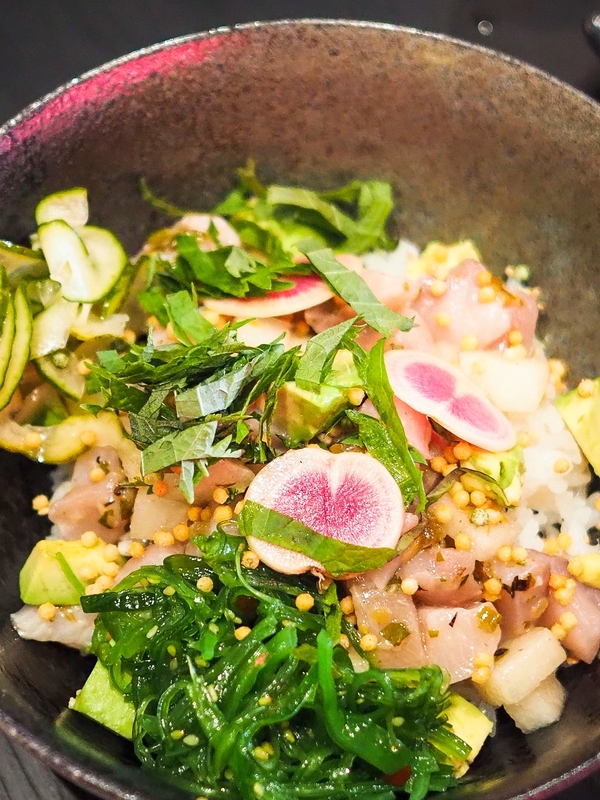 The tiradito is also popular with kombu cured golden tile, yuzu, EVOO, poppy seeds, pineapple, jalapeno, shiso pepper. Oh – and any hot dish with octopus sells. Tell us all about ChauHaus – What was the inspiration behind it? ChauHaus is a love project, it’s a reflection of my child hood and a cuisine closest to my heart. 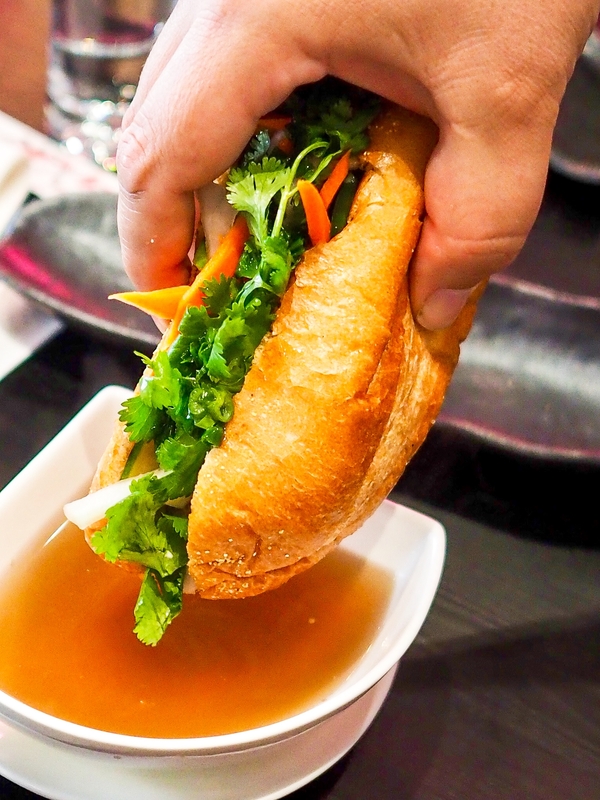 For a long time I was disappointed with the Vietnamese food in Orlando. Not because it didn’t taste exactly like what I had, but it just tasted watered down and economical. 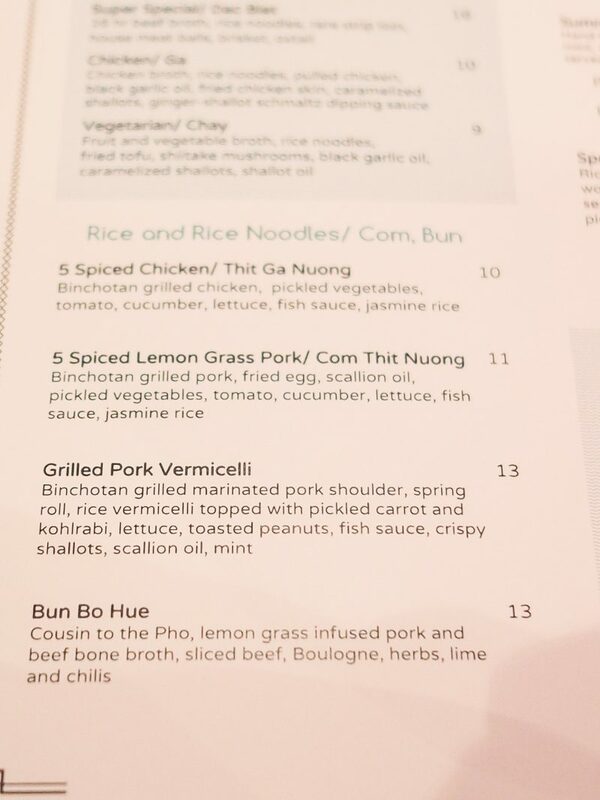 Not to say all the restaurants are like this because Vietnam Cuisine is bomb, I love their Bun Cha Hanoi and fresh Banh Cuon. They are doing things right, doing it slower and taking time. You can taste it in the food, you can smell it and see it. That’s what I’m bringing with ChauHaus. 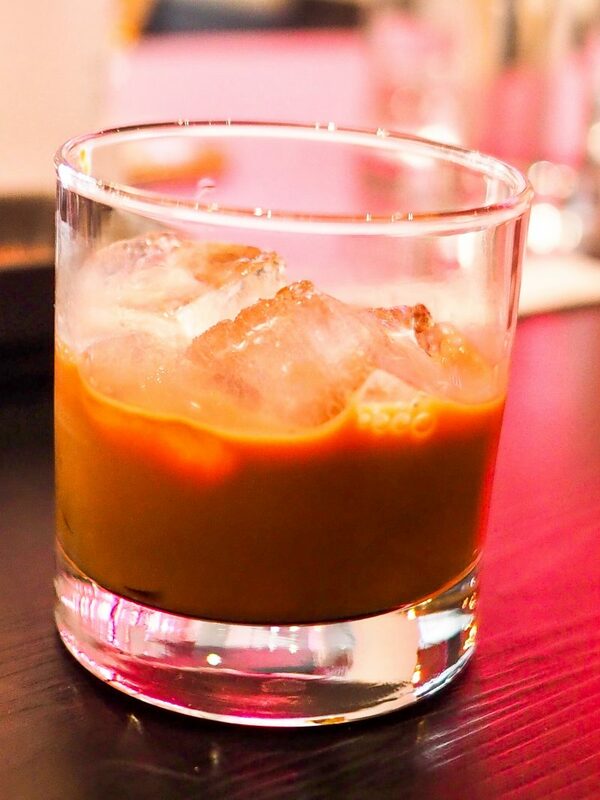 That’s the inspiration to ChauHaus, to bring quality, focus, pride and attention to Vietnamese cuisine that I grew up with. 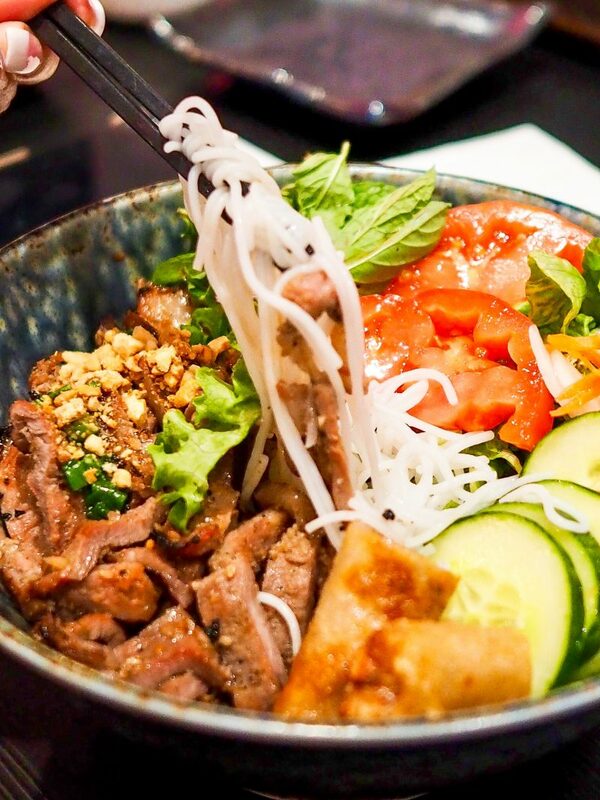 Vietnamese food is all about balancing the crunchy with the soft and chewy, crispy with the sweet and salty, the fresh herbs with the funk of fermented sauces. I want to teach people how to eat it right, without skimping on the fish sauce or fermented shrimp paste. That’s the stank and umami in your bun bo hue you liked. Are people ready for it? I think so. I hope so. What is something people can find here at ChauHaus and no where else in Orlando? I believe we are the only ones making spring rolls with rice paper and not the Chinese wheat version. 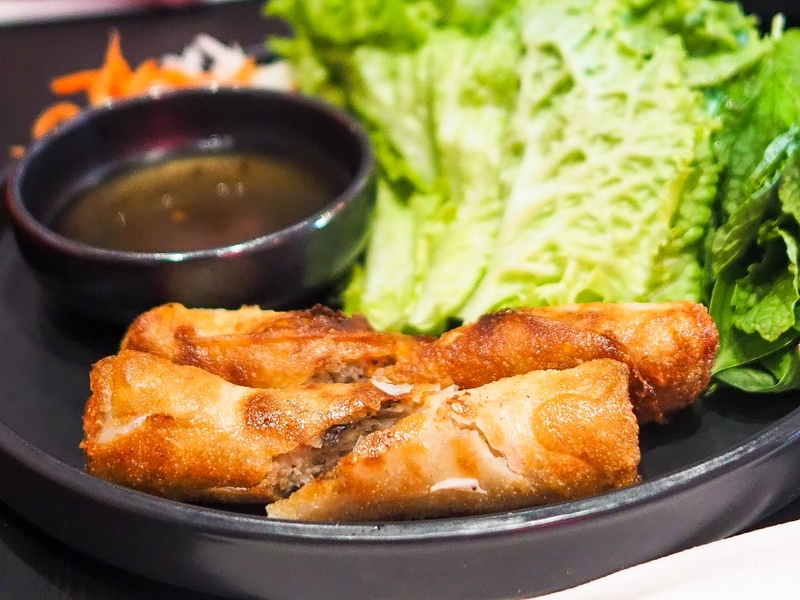 It’s great, especially with some fresh herbs wrapped in a lettuce leaf and dipped in nuoc cham. I also imported a kosei grill, the only gas robata grill that also uses bincho-tan charcoal. So all the meats get cooked over charcoal, mimicking the true flavors of street vendors in Saigon. You can’t fake smoky goodness that comes from the high heat and smoke of charcoal, it permeates the lemon grass and 5 spice pork that we cook. We’ve also partnered up with some local artisans. Olde Hearth Bread Company is making a fantastic banh mi exclusively for us, it’s crispy and crackly on the outside and an airy and chewey texture inside that’s indicative of great banh mi. Foxtail Coffee is roasting a unique blend of beans with chicory for our café sua da. It’s really good and addictive, you can taste and smell a little cacao, rich dark expresso and floral notes from the chicory. 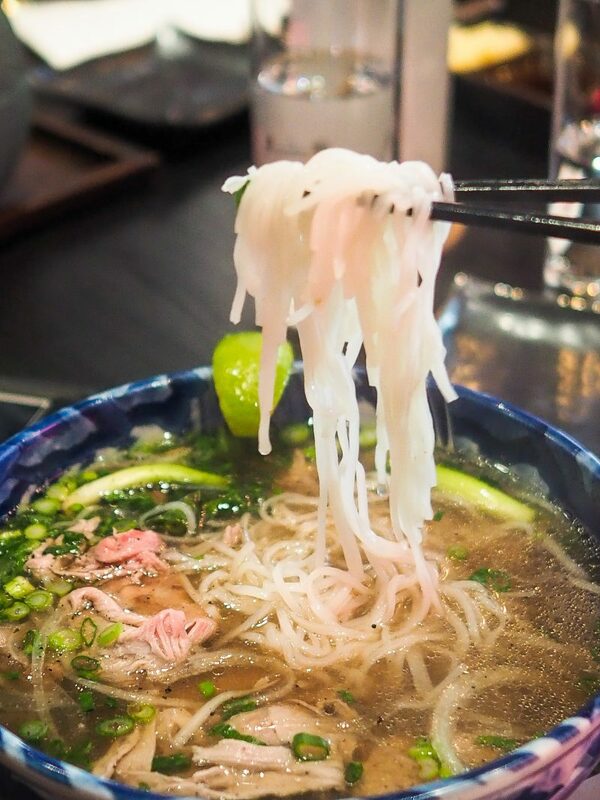 Spoon in some condensed milk and pour it over ice and it’s magic with a bowl of pho. What are some of your favorite dishes on the menu that people should try? 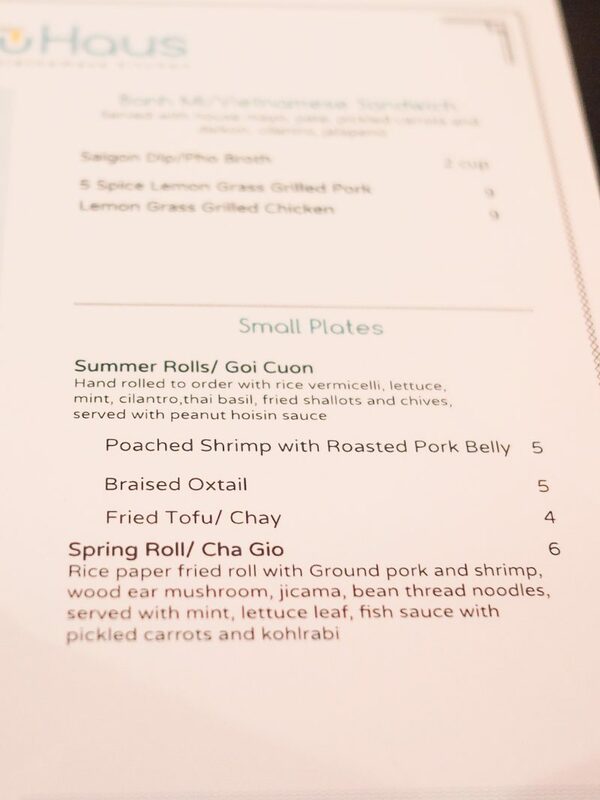 The menu is small and a fraction of what you’d find at other Vietnamese restaurants. This is because we want to focus on doing things right and execute properly. So, it’s all good. The 16 hour pho is fantastic. The chicken pho I believe is really special, we use organic Belle and Evans whole chickens to make the broth. 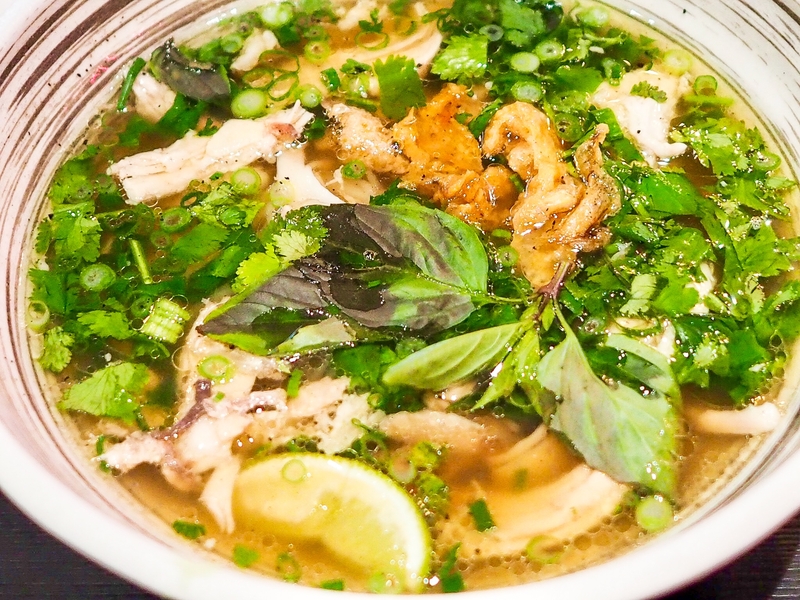 Once cooked we tear the chicken meat for the pho, peel the skin and deep fry it as a topping for the soup. A little black garlic oil and crispy shallot with fresh cilantro and scallions rounds out the pho. It needs nothing but maybe a quick squeeze of lime. Oh – and we have chicken fat schmaltz with fresh grated ginger and scallion oil for dipping your chicken in. 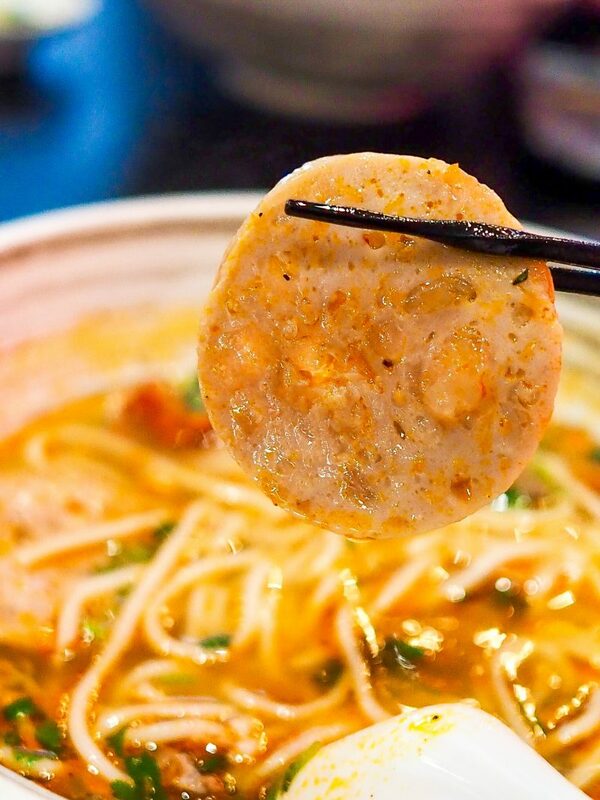 And of course the bun bo hue, pho’s tattooed b-boy cousin. It’s tasty. 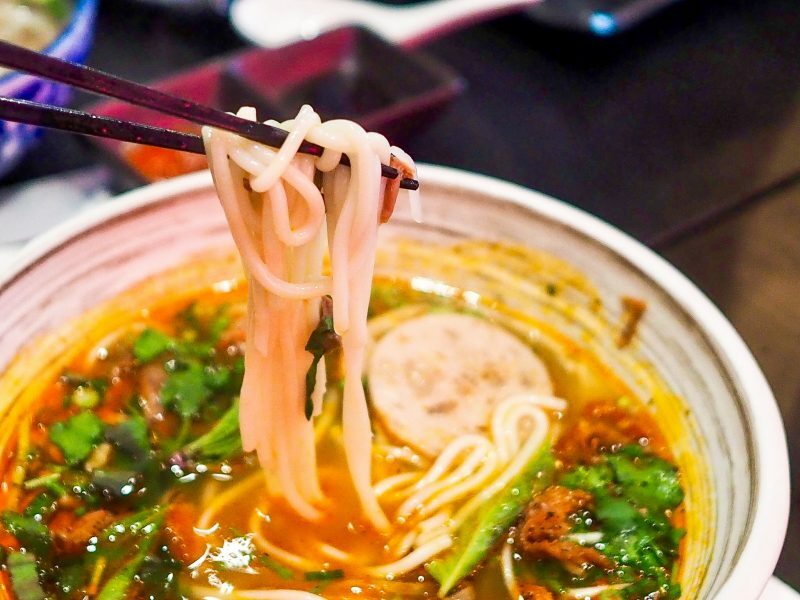 So much depth and richness from the pork and beef stock and balanced with lemon grass chili. One of my favorite soups period. 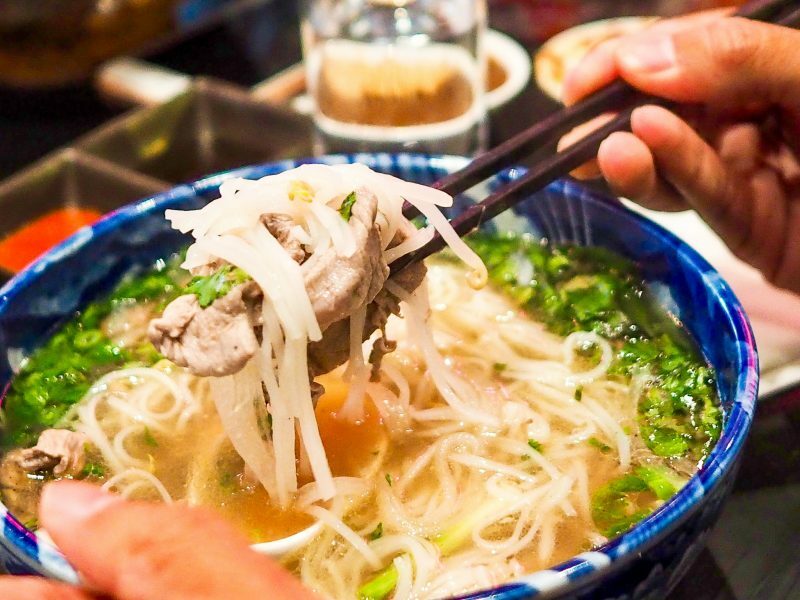 What is the secret to cooking great Vietnamese dishes? Quality ingredients, timing, patience, balance. What are some ingredients that you love working with right now? 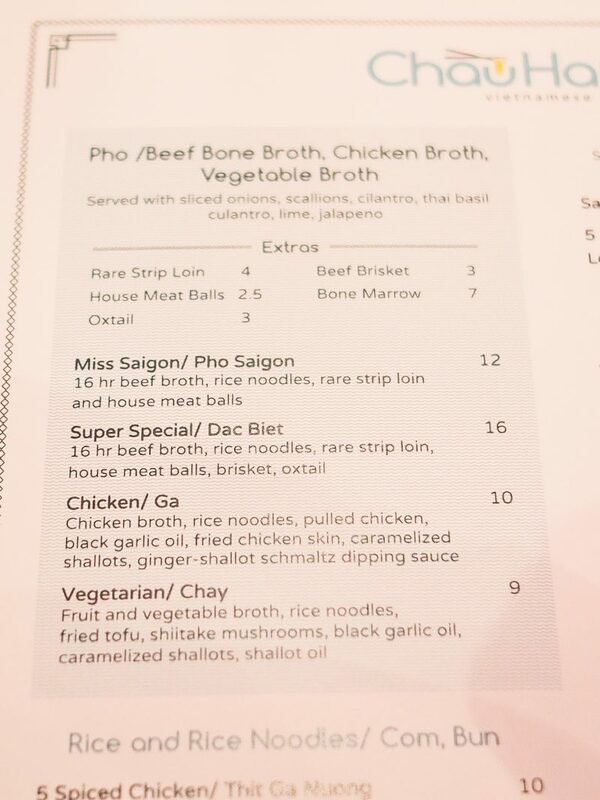 We are making all our Vietnamese bologna, pate, meatballs and sausages in house. It’s been a challenge and rewarding to learn and become proficient at. What are some “kitchen” tools that you can’t live without? Mandolin and a sharp knife. What are some trends you have seen in the food and beverage industry over the past few years since opening Sushi Pop Oviedo? For a while there it was modern cooking with the godfather Ferran Adria leading the way, influencing every chef with enhanced chemical cooking and sous vide. Then it was farm to table and all things artisanal and local. What I see now is sort of the blend of the two, with modern techniques applied when appropriate and needed and attention to a quality product without over complicating the dish. You see this on the grand stage of Michelin restaurants and also great restaurants in general. Where do you like to go eat when you aren’t working? Right now I feel like I’m always working so I don’t get to go out much. I love tacos from El Pueblo down the street from me. 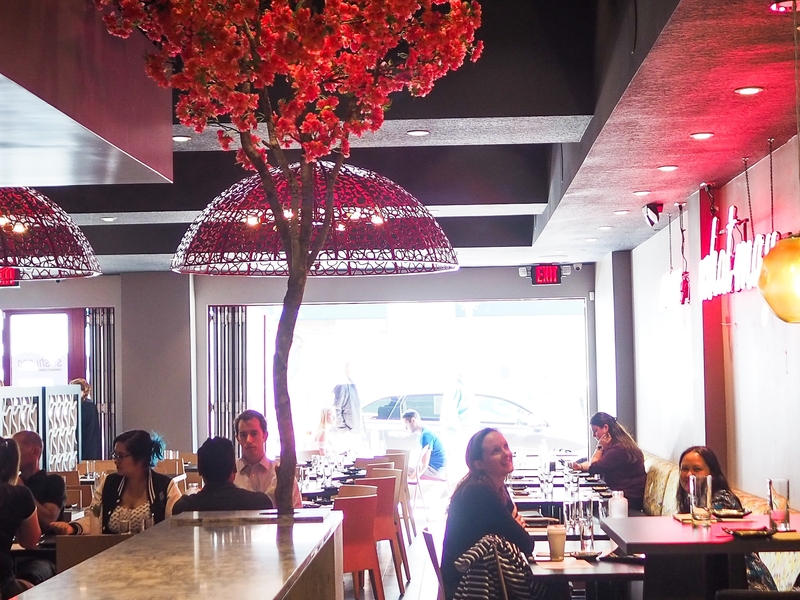 Cheat day is either Pizza Bruno or Prato’s pizza and dim sum is at Peter’s Kitchen. What do you make when you have no time or when it is really late at night – some thing that just hits home? Korean instant ramen with an egg and a few veggies is always, always satisfying. Any upcoming plans for Sushi Pop this year?